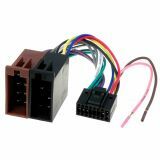 Car audio connector ZRS-31, Philips, 10pins Cable transition for Philips car radio with 10-pins. Auto connector for CLARION,ISO CLARION,ISO auto connector. Euro Socket Euro bucket for chinese radios. Car audio connector PIONEER ZRS-116, 16 pins Car audio connector for PIONEER radio with 16 pins. 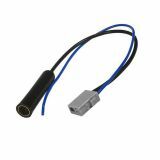 Car audio connector KENWOOD ZRS-41, 16 pins Car audio connector for KENWOOD with 16 pins. List Price 6.50лв. VAT Incl. 6.17лв. VAT Incl. 5.85лв. VAT Incl. Auto Connector for Honda, AA-HONDA-RADIO Auto connector for Honda, AA-HONDA-RADIO. Aux Adapter, AUX-FIAT.01 Aux Adapter, AUX-FIAT.01. Auto Connector Pioneer, ISO, 16 pins Auto Connector Pioneer, ISO, 16 pins. Auto Connector Sony, ISO, 15 pins Auto Connector Sony, ISO, 15 pins. List Price 5.00лв. VAT Incl. 4.75лв. VAT Incl. 4.50лв. VAT Incl. 4.25лв. VAT Incl. Auto Connector Alpine, ISO, 16 pins Auto Connector Alpine, ISO, 16 pins. Adapter ISO mini, plug 4 x RCA Auto jack for radio or CD with 3 connectors ending on 4 chips (RCA). Audio ISO connector for JVC 16 pins JVC Car Holder or JVC Cassette Holder. Car audio connector, KENWOOD 16, BLAUPUNKT Car audio connector for KENWOOD 16 or BLAUPUNKT. Car audio connector JVC 16 JVC 16 car audio connector. List Price 6.50лв. VAT Incl. 6.18лв. VAT Incl. 5.85лв. VAT Incl. 5.53лв. VAT Incl. 5.20лв. VAT Incl.